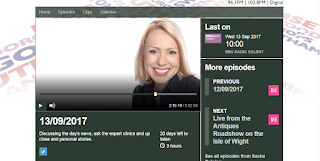 UPDATED (13th September 2017): Southampton Independents Councillor Andrew Pope appeared on the Sasha Twining programme today. 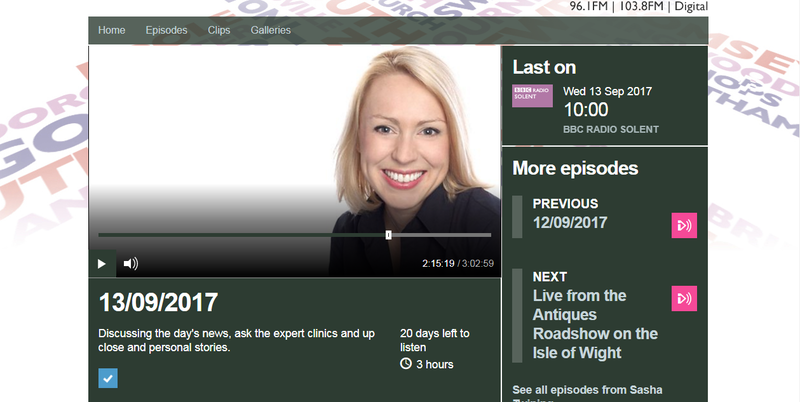 It is available on the iPlayer here (until 12th October). If the link doesn't take you directly to the right spot, the safe standing segment is at 2h 10m 24s in. Have a listen and let us know why you support safe standing by contacting us here. In the programme, Andrew explains that the campaign is not about returning to the old-style terracing, before the Hillsborough disaster. Andrew is sticking up for what many Saints fans want - to stand and to stand safely. Andrew has supported safe standing since he first saw rail seats at a football conference in 2012. It's important to me because enforced seating hasn't worked. People stand at every match. People are paying money and they should get what they want, not what they are given." As you can hear, fans of other South Coast clubs called in to the programme to support safe standing and said that they are campaigning for it at their clubs. Southampton FC Chairman Ralph Krueger's response to our campaign is also read out on the programme. 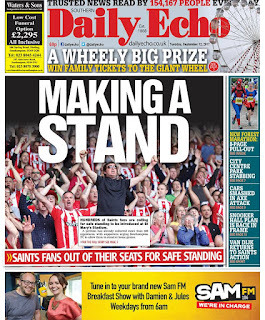 (12th September 2017): The Daily Echo has put our Safe Standing Campaign on the front page today. The online version of the Daily Echo article is here. 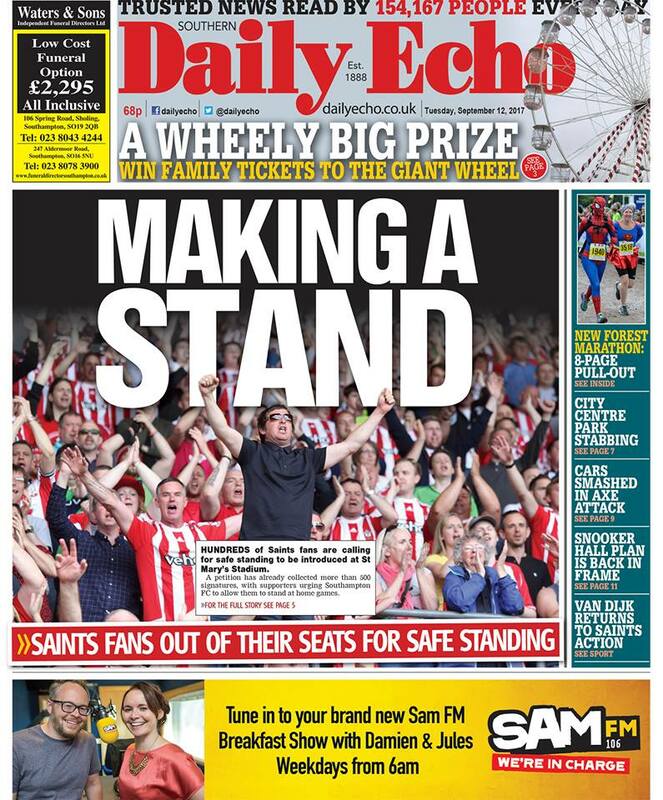 "PLEASE VOTE YES in the Daily Echo Survey to support Safe Standing. It isn't dangerous. It's safe! That's why it's called Safe Standing! And that's why the Sports Grounds Safety Authority has authorised trials at League 1 and League 2 grounds. Now we want them to authorise it for the Premier League and Championship. So if you haven't already, please sign our petition." If you want to help our campaign, please get in touch via email at sotonindies (at) gmail.com or by phone on 07580715687. Once again, Southampton Independents are about actions, not words. We listened. We acted.